To connect the camera Eos 800D / Rebel T7i to a smartphone, a smartphone on which Android or iOS is installed is necessary. In addition, the dedicated application Camera Connect (free of charge) must be installed on the smartphone. Camera Connect can be installed from the Google Play or App Store. The Google Play or App Store can also be accessed using the QR codes that appear when connecting the camera to a smartphone. When an NFC-compatible smartphone is touched to the camera before installing Camera Connect, the download screen of Camera Connect will be displayed on the smartphone. 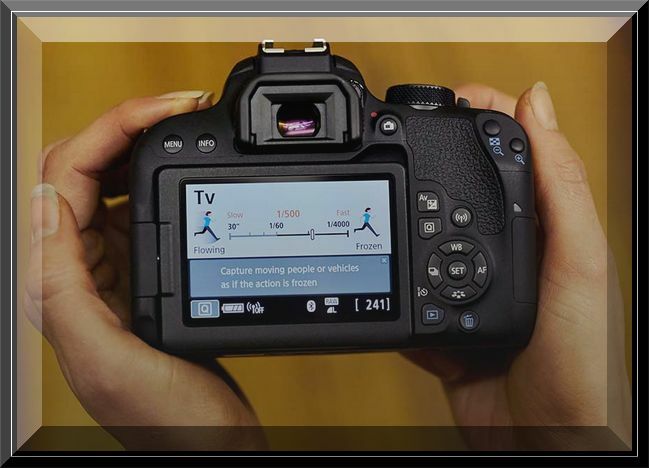 Interface or functions of the camera and Camera Connect are subject to change for firmware update of the camera or application update of Camera Connect, Android, iOS, etc. In such a case, features of the camera or Camera Connect may differ from sample screens or operation instructions in this manual. For procedures to connect to a Bluetooth-compatible smartphone via Wi-Fi, see “Connecting to a Bluetoothcompatible Smartphone via Wi-Fi”. If the smartphone you want to connect to via Wi-Fi is not Bluetooth-compatible or NFC-compatible, see Connecting to a Smartphone via Wi-Fi . To connect via Wi-Fi using a Wi-Fi access point, see Wi-Fi Setup Connection . NFC-compatible smartphones can be connected via Wi-Fi by touching them to the camera Canon Eos 800D. Smartphones labeled with the p mark are NFC-compatible. Some smartphones are NFC-compatible even if they are not labeled with the p mark. In such a case, check the NFC antenna position by referring to the smartphone’s instruction manual. For the smartphone’s NFC setting, refer to the smartphone’s instruction manual. If you do not know whether your smartphone is NFC-compatible, contact the manufacturer of the smartphone. The camera cannot be connected to two or more smartphones at the same time. Just holding the smartphone close to the camera may not establish a connection. Be sure to touch the camera with the smartphone so that they come into contact with each other. Recognition may be difficult depending on the smartphone. Touch slowly while changing the position or rotating horizontally. If connection is not established, keep the camera and smartphone together until the camera screen is updated. When touching the smartphone to the camera, do not leave anything between the camera and smartphone. In addition, when a case is attached to the camera or smartphone, Wi-Fi connection with the NFC function may not be possible. A Wi-Fi connection cannot be established with the NFC function between this camera and a smartphone while they are connected via Bluetooth. A Wi-Fi connection cannot be established with the NFC function between this camera and another NFC-compatible device such as a camera or printer. A Wi-Fi connection cannot be established with the NFC function while shooting with this camera, when there is no card, when the LCD monitor is closed with the screen facing inward, or while the camera is connected to another device with an interface cable. To connect the canon eos rebel T7i to an NFC-compatible smartphone via Wi-Fi, refer to the Camera Connect’s follow the steps below. 1 Enable the NFC function on the camera and smartphone. 2 Touch a smartphone to the camera. If an image is being played back on the camera, press the <play> button to end the playback. Touch the p mark on the smartphone to that on the camera so that they come into contact with each other. 3 Establish a Wi-Fi connection. When a connection is established, the screen on the left will appear on the camera’s LCD monitor. When connecting to the same smartphone via NFC, this screen will not appear again. To specify viewable images, press the <info> button. When a Wi-Fi connection error occurs, you can check the details of the error. To switch to the menu, press the <Menu> button. The main window of Camera Connect will be displayed on the smartphone. The Wi-Fi connection to a smartphone is now complete. By touching an NFC-compatible smartphone to the camera 800D while playing back an image on the camera, you can establish a Wi-Fi connection automatically and send the image to the smartphone even if a Bluetooth or Wi-Fi connection has not been established beforehand. On the [Wi-Fi settings] screen, set [Wi-Fi] to [Enable] and set [NFC connection] to [Enable] in advance . For the smartphone’s Wi-Fi setting, NFC setting, and NFC antenna position, refer to the smartphone’s instruction this web. 1. Play back the image. Press the <Play> button to play backim ages. 2. Touch a smartphone to the camera. Touch the N mark on the smartphone to that on the camera so that they come into contact with each other. When a message indicating the established connection is displayed on the camera’s LCD monitor, move the smartphone away. 3. Select the images to send. When the index display is selected in step 1, the multiple image selection screen will appear. When the transfer is complete, the screen for step 3 will reappear. 4. End the image transfer. Press the <Menu> button on the image transfer screen. Select [OK] on the screen on the left, then press <set> to end the image transfer and terminate the Wi-Fi connection. During the image transfer operation, a picture cannot be taken even if the camera’s shutter button is pressed. Images cannot be sent using the NFC function while the camera is connected to another device via Wi-Fi. In addition, the camera cannot be connected to multiple smartphones via Wi-Fi at the same time. Even if MOV-format movies are displayed in the list, they cannot besaved to a smartphone. You can cancel the image transfer by selecting [Cancel] during the transfer. You can select up to 999 files at a time. With a Wi-Fi connection established, disabling the smartphone’s power saving function is recommended. When using the NFC function while playing back an image, device registration will not be performed. When you reduce the image size, all images to be sent at the same time are resized. Note that movies and b size still photos are not reduced. The Canon Eos 800D or Eos Rebel T7i Connect to your smartphone or tablet in an instant for image sharing and remote camera control. this section describes how to connect the camera to a smartphone via Wi-Fi using the <Wi-Fi> button. Send images to a smartphone from the camera canon eos rebel T7i. To connect the camera Canon Eos 800D to a smartphone via Wi-Fi, refer to the Camera Connect’s “Easy Connection Guide” or follow the steps below. Set [Wi-Fi] to [Enable] on the [Wi-Fi settings] screen in advance. 1 Press the <Wi-Fi> button. 2 Select (Connect to smartphone). 4 Select [Do not display]. If Camera Connect is not installed, select Android or iOS on the screen on the left, scan the displayed QR code with the smartphone, then access Google Play or the App Store and install Camera Connect. 5 Check the SSID and password. 6 Operate the smartphone to establish a Wi-Fi connection. Activate the smartphone’s Wi-Fi function, then select the SSID (network name) checked in step 5. For the password, enter the password checked in step 5. When the [Waiting to connect] screen is displayed on the camera’s LCD monitor, start Camera Connect on the smartphone. 8 Select the camera to connect to via Wi-Fi. Select and tap on the camera to connect to via Wi-Fi from Camera 800D on Camera Connect. 9 Establish a Wi-Fi connection. smartphone from the camera menu [Send images to smartphone] or from the Quick Control screen during playback. Canon Eos 800D Wireless Setup to start with, check if the access point supports WPS that allows easy connection between Wi-Fi devices. This setup for camera 800D wifi connection to computer or smartphone. If you do not know if the access point you use is WPS-compatible, refer to the access point eos T7i-800D instruction manual or other documentation. The following two connection methods are available. Connection can be established easier with WPS (PBC mode). 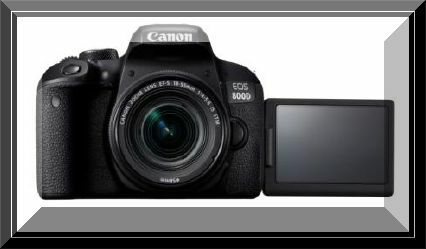 This camera Canon Eos 800D supports the following options for [Authentication] and [Encryption settings]. Therefore, when connecting to a detected network manually, the encryption used by the access point must be one of the following. This is a connection mode available when using an access point compatible with WPS. In pushbutton connection mode (PBC mode), the camera Canon 800D and the access point can be connected simply by pressing the WPS button on the access point. If multiple access points are active in the surrounding area, it may be more difficult to establish a connection. In such a case, try using [WPS (PIN mode)] to establish a connection. Under the tab, select [Wireless communication settings], then press <set>. 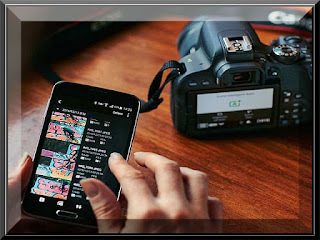 When selecting [camera] (Transfer imgs between cameras), see “Easy Connection to smartphone” . When you select [web] (Upload to Web service), a screen to select a Web service is displayed. Select a Web service and press <set>. 4 Select [Select a network]. Displayed when [smartphone], [computer], or [printer] is selected in step 3. Go to step 5 when selecting [computer] or [web]. 7 Connect to the access point. Press the access point's WPS button. For details about where the button is located and how long to press it, refer to the access point's instructionn manual. Select [OK] and press <set> to establish a connection with the access point. Select [OK] and press <set> to display the setting screen for the Wi-Fi function selected in step 3. If [Auto setting] results in an error or if you want to specify the settings manually, . The IP address can only be set automatically in environments using DHCP servers, or access points or routers with DHCP server functionality, such that IP addresses and related settings are assigned and configured automatically. This is a connection mode available when using an access point compatible with WPS. 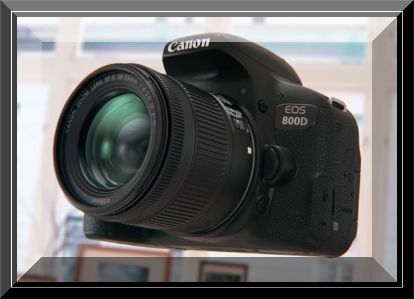 In PIN code connection mode (PIN mode), an 8-digit identification number specified on the Eos 800D is set at the access point to establish a connection. Even if there are multiple access points active in the surrounding area, a relatively reliable connection can be established using this shared identification number. Set [Wi-Fi/NFC] to [Enable], then select [Wi-Fi function]. PIN code displayed on the camera's LCD monitor. When a connection with the access point is established, the next screen is displayed. Establish Canon Eos rebel T7i Wireless Setup connection to iphone,ipad or computer by selecting the SSID (or ESS-ID) of the access point to connect to from a list of active access points nearby. 5 Select an access point. Press the <L> <R> keys to select the access point to connect to from the list of access points. Scroll down the screen in step 5 to display [Refresh] and [Manual settings]. To search for access points again, select [Refresh]. To configure settings for the access point manually, select [Manual settings]. Enter the SSID using the virtual keyboard and then configure settings following the instructions displayed. Enter the encryption key (password) specified for the access point. For details on the specified encryption key, refer to the access point’s instruction manual. The screens displayed in steps 6 to 8 below vary depending on the authentication and encryption specified for the access point. Go to step 9 when the [IP address set.] screen is displayed instead of the screens for steps 6 to 8. 6 Select a key index. The [Key index] screen is displayed only if WEP encryption is used by the access point. Select the key index number specified for the access point, then press <Set>. 7 Select the format and the number of characters used for the key. 8 Enter the encryption key. Enter the encryption key using the virtual keyboard, then press the <Menu> button. The [IP address set.] screen will be displayed. Making extraordinary quality photography less demanding than any time in recent memory, the EOS 800D gives you a chance to shoot astonishing photographs and motion pictures of the essential circumstances throughout your life. Furthermore, on the grounds that it's a DSLR you'll adore its brilliant optical viewfinder that demonstrates the world as it truly seems to be. 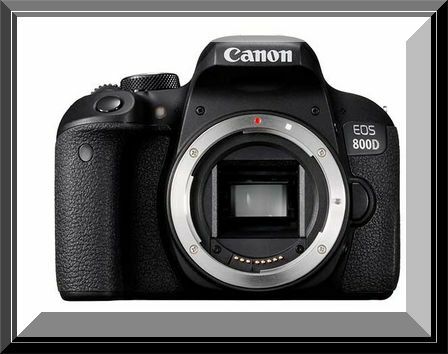 Canon Eos 800D Release Date Price And Spec, Canon plans to ship the camera in April 2017 at $750 for the body, $900 for the kit with the new 18-55mm lens or $1,300 for a kit with the 18-135mm STM lens. I don't have prices for the UK or Australia, but those convert directly to roughly £600, £725 and £1,045 or AU$980, AU$1,180 and AU$1,700. The EOS 800D is satisfyingly quick to use, with 6 outlines for each second persistent shooting and a brilliant optical viewfinder that demonstrates the world progressively. When creating pictures on the camera's Vari-Angle screen, the world's fastest Live View AF system* centers in as meager as 0.03 sec, for stick sharp outcomes. Responsive execution and 6fps nonstop shooting let you catch the most momentary minutes. Shoot photographs and motion pictures from down and out or overhead, utilizing the EOS 800D's Vari-Angle touch screen to form the scene. Center and shoot with a solitary tap. Associate with your cell phone or tablet in a moment for picture sharing and remote camera control. 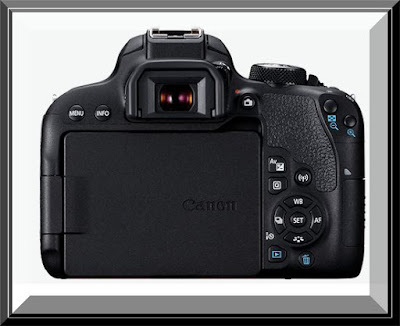 While the EOS Rebel T7i/EOS 800D games an indistinguishable 24.2MP determination from the Rebel T6i/EOS 750D, the sensor has been redesignd, and utilizations a similar innovation that we've found in the EOS 80D. Ordinance wouldn't expand on what precisely has changed, however we can hypothesize that it utilizes the same on-chip computerized to-simple transformation innovation that we've found in the EOS 5D Mark IV. AWB (Ambience priority, White priority), Daylight, Shade, Cloudy, Tungsten light, White Fluorescent light, Flash, Custom, Colour Temperature Setting. Image information:Card information, maximum burst (1 digit display), Highlight tone priority (D+).